This article was originally published on Blogging Shakespeare. As Christopher Marlowe anachronistically says in Anonymous, six years after his historical death: ‘It’s difficult to write, isn’t it? After watching something like Hamlet. It eats at you – at your soul…’ And it’s especially difficult to write a verse play. I’m a PhD researcher at the Shakespeare Institute looking at the history of verse drama in the wake of Shakespeare, and one theme that comes up again and again, in critical reviews and the words of verse playwrights themselves, is a certain anxiety over measuring up. 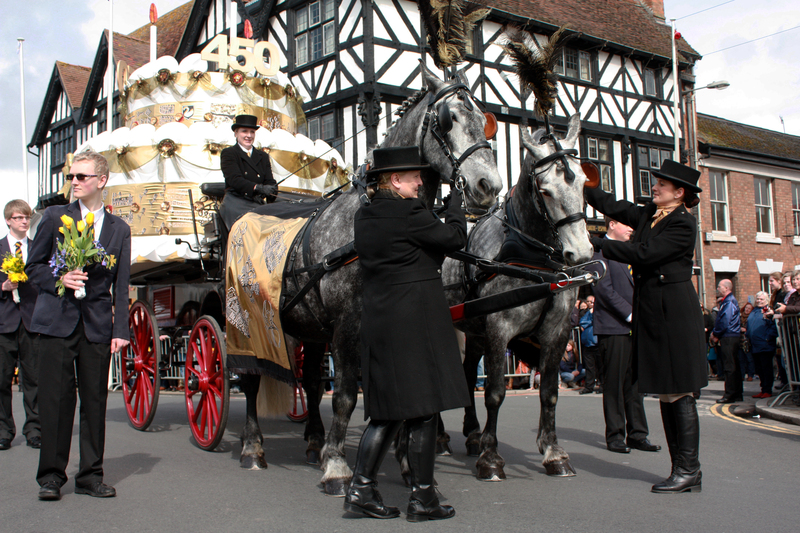 Shakespeare’s verse plays, after all, are the reason people come from across the world to watch a horse-drawn cake parade through the crowded streets of a charming market town four hundred years after he wrote them, and light enormous Wicker Man-style effigies of his face. How could anyone else ever approach the same form of writing without a slight inferiority complex? Over the last few months, however, I’ve immersed myself in exactly this cauldron as I put together my own verse play: a script called Free for All, which will make its debut at the Edinburgh Fringe. In this series of posts, I’ll be sharing some of my reflections on verse drama as a medium, from the twin perspectives of an impartial researcher and an increasingly fretful, overly invested writer, as the play moves towards its first performance. Auditioning actors this week got me thinking about a field of debate unique to this kind of theatre: verse speaking. Even the existence of the phrase suggests a specific skill-set, an understanding that lines of poetry have a different aural character from chunks of prose. We talk about pace, diction, and so on as actors, directors and reviewers, but we never argue about ‘prose speaking’ as a concept. And yet, as far as I can tell, a good proportion of what’s currently being spoken in theatres doesn’t sound very much like verse. It just sounds like… speaking. To write this in 2015 will make me seem, like the Doctor, hundreds of years older than I actually look. Of course, Shakespeare’s iambic pentameter is designed to capture the rhythms of natural speech (the key word being ‘capture’, as opposed to ‘liberate’). But I wonder if a focus on the deftness of his poetry has obscured everything about it which is unnatural, and whether these artificial constraints aren’t exactly what raises it above ordinary conversation into the realms of memorable art. One of the most acclaimed Shakespearean performances of the year has been Maxine Peake’s Hamlet. I loved her livewire energy, and clearly a slightly delirious sense of speed and attack was central to her reading of the role. But sometimes, as the actor barrelled through key speeches like a runaway train, individual words and line endings fell by the wayside. The play was becoming all Peake and no trough. 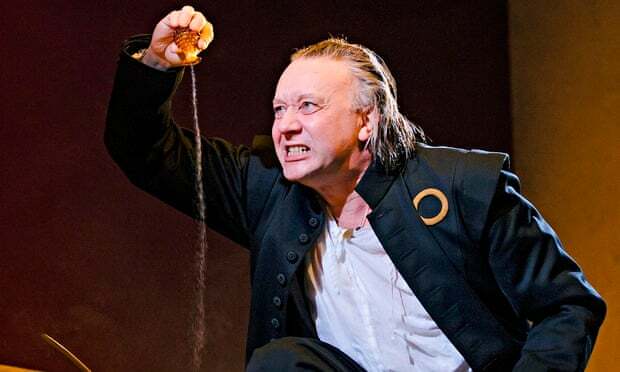 Soon after the Hamlet live-screening, I caught Jasper Britton as Barabbas in the RSC’s The Jew of Malta (to return to both Marlowe and cauldrons) and was struck by the difference. Britton worked with the verse to find nuance and progression, showing us a character assessing and calculating his next thought or move at the end of each line. Admittedly, Marlowe’s writing makes it easier to separate experience into discrete ten-syllable units, and part of the skill in working with Shakespeare is using the verse itself as punctuation when the words, written as prose, might tell a different story. But it still took Britton’s methodical work to make sure we knew where we were within the speeches, each foot and line building on the foundations of the last, and this allowed us to see the character growing and changing. The approach to Shakespeare’s text which I’m favouring is quite an unfashionable one – but then, there’s nothing more unfashionable than poetry, and nothing more integral to how Shakespeare works. And fixed lines and line-breaks, in the vast majority of cases, are the only thing poetry has which prose doesn’t and can’t. By ignoring these, we lose sight of the way in which the text has structured its characters’ experience and the movement of their minds. We lose the thread which, however strongly an individual speech might push against it, stitches the delicate world of Shakespeare’s verse plays together.